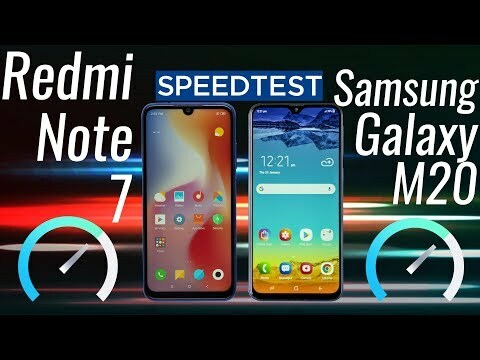 Redimi note 7 is the latest offering from the brand xiaomi. My wife managed to book one in the flash sale and since the day she has gifted me this phone i have been in love with it, as i have not used this phone for a lot of time but still i have a pretty good idea about it as it has a magnificent camera which clicks awesome pictures and the battery backup is also very good. The Redmi Note 7 is a perfect value for money smartphone in the market right now. The phone has a very high-quality display with Corning Gorilla Glass 5 meaning it has solid protection on it. The build quality is far better than the previous Redmi Note phone. The cameras are also good with decent performance. 2 Pricebaba users have written their experience with Xiaomi Redmi Note 7. If you own Xiaomi Redmi Note 7, please do leave your feedback too. Lowest price of Xiaomi Redmi Note 7 price in India starts at Rs. 9,999 Xiaomi Redmi Note 7 is available on Flipkart at Rs. 9,999 and on Amazon at Rs. 11,190. Prices updated on 19th April 2019. The Redmi Note 7 is the first product since the brand has been making its way as a standalone unit. It is an affordable device with a 48 MP, which makes the smartphone a perfect choice compared to others. The Redmi Note 7 also gets watertight seals around its ports and buttons, to prevent it from water damages. The powerful features enriched device looks trendy and classy, which can be also a reason to grab this device. The Xiaomi Redmi Note 7 flaunts a 6.3-inch IPS LCD display. It offers 1,080 x 2,340 pixels and pixel density of 409PPI, which gives a remarkable visual experience. The aspect ratio of 19.5:9 makes it look more trendy. The screen is protected by Corning Gorilla Glass, which protects it to prevent damages and scratches. Speaking about optical configuration, the smartphone sports a 48MP main camera, which is paired with a depth-sensing 5MP lens. The dual setup is offered with additional features like Phase Detection Autofocus, LED flash, which helps to get flawless pictures. The front-facing camera is of 13MP, which gives excellent selfies that users love to share. Under the hood, the device packs two quad-core Kryo 260 processors having the clock speeds of 2.2GHz and 1.8GHz. The Xiaomi Redmi Note 7 is based on Qualcomm Snapdragon 660 MSM8956 chipset. The processor is accompanied by a 3GB RAM and for the graphics part, there is an Adreno 512 GPU. The whole operation is done by Android v9.0 (Pie). The device draws the charge from a Li-ion battery having the capacity of 4,000mAh. There is also a fast charging option to continue the task in a short time. The Xiaomi Redmi Note 7 houses 32GB internal storage onboard. This large amount of storage can save large files of images, music, videos and many more. It also gets a memory slot, which can be used as external storage up to 256GB when required. The smartphone comes with many connectivity features. Both the slots can be connected with 4G-VoLTE. Except that there are also some connectivity options such as Wi-Fi Direct, Mobile Hotspot, GPS, Glonass, Bluetooth and USB Type-C. In terms of sensors, the device gets a fingerprint sensor at the back, which helps it to unlock faster and more secure. It also gets the Light sensor, Proximity sensor, Accelerometer, Compass, Gyroscope as features. The device is available in three colour options like Black, Blue, Purple.